Spring is in the air! The birds are busy building their nests, and families are planning their summer vacations. 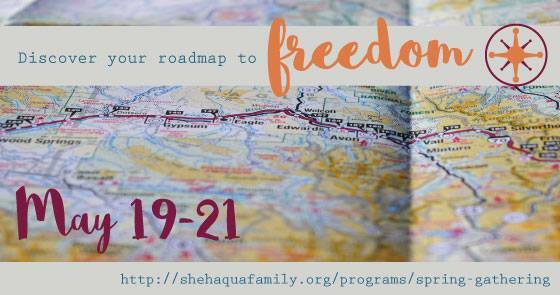 We hope you'll make Shehaqua part of your plan this year. 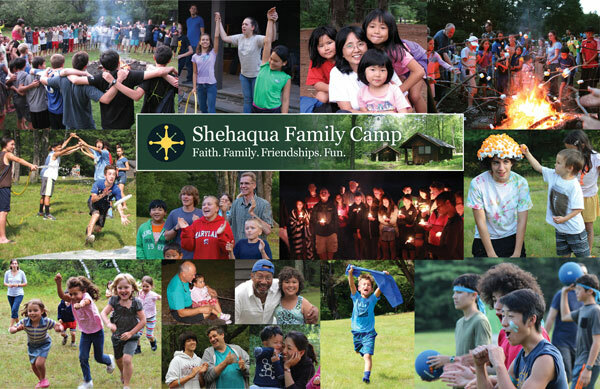 Registration for Summer Family Camp is now open! Don't forget to pre-order your t-shirts to make sure you get the right size, and join us for Spring Gathering, May 19-21. The 2017 Shehaqua T-Shirt was designed by Claude Aubert. The shirt comes in colors "blue dusk" for adults and navy blue for youth sizes (blue dusk was not available for youth sizes) and will be available at the Spring Gathering and at Family Camp in summer. Please note that we cannot guarantee that your size will be available, unless you pre-order the shirt at the time of registration for Spring Gathering or Family Camp. Spring Gathering orders are due by April 20, orders for Family Camp are due by June 25. Freedom is around the corner! Get the tools that you need to make a ROADMAP to your own personal freedom. Get rid of those student loans. Develop and improve your relationships with your parents. Tackle that health issue you've been avoiding. This spring, challenge your own personal limitations through an interactive, insightful, and experience driven weekend. Below are bio's of all the candidates running in the 2017 Shehaqua Council election. The first-prize winner will receive a check for $100. The second- and third-prize winners will receive a free Shehaqua t-shirt each. All submissions will be shown to a group of judges composed of members of the Shehaqua Council and the Shehaqua Operations Team. In addition to that, all or the best designs will be posted on our Facebook page and the public will get a chance to vote for their favorite designs by liking them. (The artist will remain anonymous, so this will not become a popularity contest.) The Facebook votes and the judges' votes combined will determine the first, second, and third place winners. The dimension of your artwork cannot go beyond 12" × 12". However, 12" × 12" is much too large for most designs, and we recommend that you print out your artwork at various sizes and attach them to a T-shirt to see which size works best. Then submit your choice that can be printed at 100%. Your artwork will go on the front of the T-Shirt. Additional art for the back is optional. Each person can submit up to two different designs. 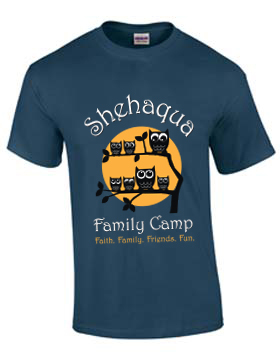 The T-shirt should include the words "Shehaqua Family." It's fine to add additional words if you so choose. Some of our previous t-shirts that included phrases such as "Loving + Serving the World," "Live for Joy," "The Family—God's School of Love," These Roots Go Deep," etc. were quite popular. Your artwork can have up to four different colors of ink. If you choose to have art for both the front and the back, then each ink color used for the back counts as one of the four colors that are available to you, even if it is a color already used on the front. (For example, if you use red, green and blue on the front, it counts as three colors, and if you use red again on the back, it counts as the fourth color). Using all four ink colors is optional, and you can decide to use less ink colors for your design. Please note that if you want parts of your design to be white, you will have to count white as one of your four ink colors. Your art has to be your own work. Using clipart or stock art as elements of your own work is permissible if it does not violate the license of that art. The license has to include commercial use. (Some art in the Creative Commons allows for free use, but not for commercial use. Since our T-shirts will be for sale, only art with a license for commercial use is acceptable.) Please describe the origin of your stock art (submit a link if applicable) with your submission if you are using any. The art must be submitted in digital format—as a high quality jpg, tiff, EPS, or PDF file—at a minimum of 300 dots per inch (dpi). You can create your art on the computer, or, if you plan to use just one color, you can create it on paper and then scan it in at the proper resolution (300 dpi). We need your artwork in two versions: One file that shows the art on top of your chosen T-shirt (background) color—this will be sent to the judges—and one without the background color that can be used for separating the colors which is necessary for silkscreen printing. We strongly encourage you to submit your file as a layered Photoshop, Illustrator, GIMP (free Photoshop alternative), or svg file with each color on a separate layer. If you don't have access to any of these programs, or don't know how to use them, we will help you separate the colors if your design wins. If you create your design on paper, we recommend that you don't use pencils but ink, pens, or markers instead to create clear contrast. Complicated line drawings are more difficult to print with silkscreen printing, while designs with larger, simpler elements will look better. It is with regret that we announce the cancellation of this year's Shehaqua Harvest Festival. We hope that we will meet some of you at the America and God's Will Rally on September 17 in Washington, DC, instead. 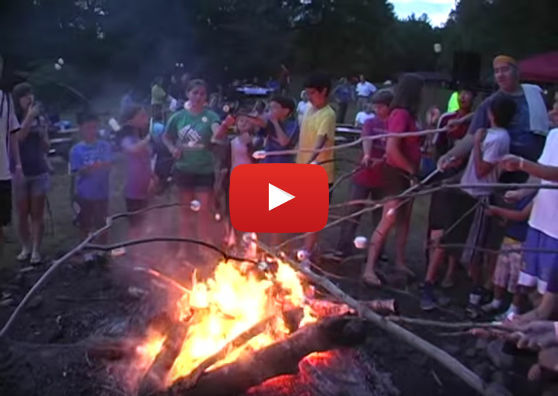 2016 Family Camp Registration is Now Open!